Activity in the overall power generation markets declined during 2013, as macro-economic volatility continued to cause delays in investment decisions throughout the year. Customer decision-making was further impacted by the significant exchange rate fluctuations seen in multiple emerging market currencies during the second and third quarters. Still, economic growth in the emerging markets continued to support demand for new power generation capacity. Wärtsilä’s power plant quotation activity was higher in 2013 than during the previous year, although the level of quoted MWs decreased somewhat during the fourth quarter. Activity remained focused on natural gas based generation. During the first half of 2013, global orders for natural gas and liquid fuel based power generation (including all prime mover units of over five MW) totalled 18.8 GW, a decrease of 35% compared to first half 2012 (28.8). Wärtsilä's share represents 5.8% of the market (4.9%). The total number of new registered vessel contracts in 2013 was 2,201. Market activity improved significantly compared to 2012, when the volume for known contracts was 1,090 vessels. During the fourth quarter of 2013, 633 contracts for new vessels were registered. Ordering was active in all major vessel segments, resulting in a more evenly spread contracting mix compared to the previous year. Counter-cyclical ordering played an important role in 2013. Competitive new building prices and the increased fuel efficiency of modern vessels attracted investments in merchant vessels. Notable activity was seen in the product tanker, LPG carrier, and large containership segments. The gas carrier market (LNG carriers and LPG carriers) recorded 39 contracts during the fourth quarter of 2013, bringing the total for the year to 158 contracts. The contracting of mobile drilling units was positive, with active ordering of jack-up rigs. Contracting activity in the anchor handling tug supply and platform supply vessel segments was lower than in recent years. China and South Korea captured respectively 41% and 33% of the contracts confirmed during 2013 in terms of compensated gross tonnage, while Japan secured 15%. Wärtsilä’s share of the medium-speed main engine market increased to 52% (49% at the end of the previous quarter). The market share in low-speed engines remained at 10%, while in auxiliary engines the market share decreased slightly to 4% (10% and 5% respectively at the end of the previous quarter). Service market activity developed well in the fourth quarter of 2013, in line with typical seasonality. There was an improvement in demand from marine customers, and markets were especially active in the Norwegian offshore and the US cruise segments. During 2013, the overall service market development was stable. The pick-up in activity during the fourth quarter compensated for the slightly slower beginning of the year. The demand for power plant related services remained at a good level throughout the year, and activity was healthy especially in Africa. The overall marine service activity was satisfactory. 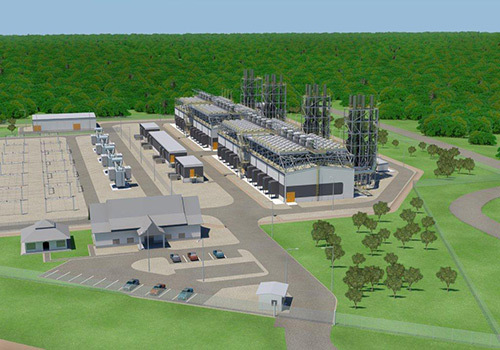 At the end of 2013, Wärtsilä’s installed base totalled 182,000 MW. The marine installed base decreased slightly due to the scrapping of merchant vessels with 2-stroke engines. This development was compensated for by the continued increase in the 4-stroke installed base, particularly in power plant installations.